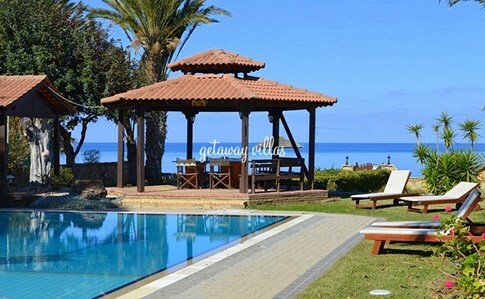 Argaka is an ideal holiday location for those who appreciate authenticity and seek rest and tranquility in a pleasant and friendly environment, which blends mountains, sea in a wonderful healthy climate, a mild winter, a particularly warm, clear sea and sandy beaches. Argaka is a very privileged village. It is a small beautiful community of the area of Polis Chrysochous. It lies at the very beginning of Paphos Forest and only meters away from the beach. Argaka enjoys both sea and mountain views, and an excellent climate. People here are open hearted and very friendly. The Argaka area is very fertile and has an abundance of fruit trees including figs, grapes, prickly pears, apples, oranges and lemons. Being rural, early morning walks are particularly enjoyable. There are some extensive good beaches in the area. With a population of 1,000 or so, Argaka has two churches, Ayia Varvara being the oldest. It has coffee shops and a few tavernas (the number is growing every year) serving excellent locally grown food. Argaka village has groceries/mini-markets and a small co-op store. For more shops, banks and restaurants Polis is only a short drive away. We have a number of rental villas dotted around in the fruit orchards of Argaka offering privacy and a tranquil relaxing environment.